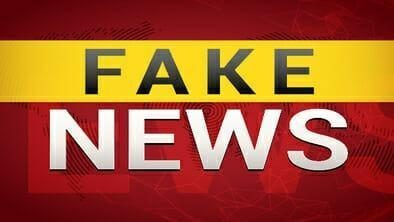 Over the last few years, the phrase ‘fake news’ has flooded almost every media outlet, political debate, and social media network. While it provokes a much-needed conversation surrounding the legitimacy of many journalistic claims, it’s also acted as a catalyst for furthering censorship in many places. As we continue to be exposed to news reports from countless platforms, being able to tell truth from falsehood has never been so important. In late March 2018, the Malaysian government made a controversial announcement, proposing a new bill that would ban fake news. Critics couldn’t help but note the timely manner of the proposition, which came in the run-up to country’s general election and just after the current administration had faced a detrimental corruption scandal. The fake news phenomenon has become integral to global politics. As the internet provides a platform for all news outlets, inaccurate information has free reign. On the flip side, brandishing the term has become a debating tactic in itself. Don’t agree with an opinion? It’s Fake News! Don’t like a particular political reality? It’s Fake News! The fact that countries are now legislating using the phrase sets a dangerous precedent. What Exactly is ‘Fake News’? The Fake News phenomenon is a many-layered beast. The simple definition – that it’s ‘news that’s not true’ – only scratches the surface. The following are common genres of reporting that are often responsible for the spreading of fake stories. Satire SitesThose familiar with internet culture will be aware of websites such as the Onion or NewsThump. While these platforms exist solely for entertainment purposes, somewhere in the chain of social media shares, they are often interpreted as fact. News for ViewsMaking money through social media has become a legitimate career pursuit. Through advertising, you can make a tidy sum online – but only if you have the traffic. Controversial news stories are guaranteed to cause a buzz; so many have taken to fabricating events for this purpose. One Macedonian town – often cited as the catalyst of the current fake news phenomenon – created 140 websites in the run-up to the 2016 election, all of which contained fictional stories. Individual articles from the domains racked up as many as 140,000 shares each. Mistaken ReportersFake news is, more often than not, completely unintentional. Countless reports throughout history have spouted false information, only to have to apologize for their mistake publicly. For example, during the controversial 1980s miner’s strikes in the United Kingdom, a clash between police and protesters at Orgreave received significant attention. The BBC showed footage of aggressive miners throwing missiles at mounted officers, followed by the police charging into the crowd. It was subsequently revealed that the footage was aired in the wrong order; the constables had initiated the confrontation, and the protesters were merely responding. Political BiasWhile the BBC maintained that the Orgreave incident was purely a mistake, political bias had a significant role to play in fake news. Reporting outlets are known for their alliance with particular parties and are quick to report misleading information if it supports their views. Like many others, Fox News has been forced to apologize for many inaccurate stories – including Hilary Clinton’s likely indictment over hacked servers, outdated clips of Joe Biden talking about the economy, and several false comments about the role of Muslims in Europe. If you tuned in at many points during Trump’s presidency, you’d be forgiven for thinking you were watching an episode of Brass Eye or The Daily Show. Something about this unlikely candidate has sparked the creative imaginations of both sides of the political fence. From his outlandish statements and controversial policies to his caddish private life and Twitter scandals, Trump is unarguably a vehicle for hyperbole. Countless false stories, both for and against the president, have arisen during his time in the political spotlight. They range from claims that Pope Francis endorses Trump’s presidency, to confirmations that he directed Russian hackers to swing the election in his favor. The more serious accusations have also been balanced with the weird – such as a satirical tweet supposedly from Melania, claiming her darkened Christmas decorations were to celebrate the old Pagan Gods, which was portrayed as fact by many sources. However, it’s not just reports about Trump that made him pivotal in the fake news phenomenon. His ongoing use of the phrase has catapulted the concept into the spotlight. Trump first cried ‘fake news’ in December 2016, responding to reports that he would remain the executive producer of The Celebrity Apprentice during his presidency. In the following year, he tweeted the term ‘fake news’ over 150 times. It quickly became apparent that Trump used the label, not to highlight genuine inaccuracies, but to cast aside stories and reporters that he personally didn’t like. Mistakes and misinformation in journalism is not a new concept. Throughout history, all across the globe, published lies have existed to a greater or lesser extent. From all-out propaganda campaigns to biased reporting, complete objective accuracy in the news is rarer than you may think. Considering this, the real problem arises when lawmakers begin to dictate truth from falsehood. When a politician cites fake news, they do it to discredit stories that threaten their narrative. It’s unlikely you’ll ever see Trump label a story that exaggerates his successes as ‘fake,’ for example. In the most extreme cases, such as the Malaysian situation, opposition ideas are banned completely – skewing the national narrative in favor of one party. The unfortunate truth is that fake news is a catalyst for censorship. Another recent example occurred in Russia. Anti-corruption activist, Alexey Navalny, drew attention to videos that suggested dodgy dealings between the deputy prime minister and billionaire, Oleg Deripaska. The response from the state-owned media watchdog was to threaten YouTube and Instagram with a national ban if they did not remove the content. In more extreme cases, such as North Korea and China, producing media that criticizes the government could lead to prison sentences or even execution. With so many discrepancies surrounding the reality of fake news, knowing how to establish the truth is an essential personal pursuit. Spotting fake news can be easier said than done, as it doesn’t solely come from one type of source. Many claim independent, online outlets or the mainstream media are exclusively to blame, but the reality is false reporting happens everywhere. The following are features that can help determine fake news, but they aren’t universal rules. Clear Bias. If a publication has a distinct political leaning, the content will as well. For example, an article touting Trump’s overarching success on a site called WeLoveTrump.com is probably not an accurate representation. Badly Researched/Written. Vague statements and poor writing suggests a post hasn’t gone through quality checks. Reliable domains have staff and procedures in place to avoid spreading misinformation. Hard to Verify. Any claim can be googled in a few seconds; if there’s a distinct lack of other reports on the topic, it’s probably fictional. Author and Date. Informed writers work hard to build an online reputation. If it’s obvious they’re not a real person, then the information they share also lacks validity. Similarly, old posts often get re-circulated, so ensure the claims are current before taking them at face value. The Fine Print. Clickbait is one of the worst catalysts for fake news. Controversial titles and sensationalist introductions are regularly used to entice a reader to click. However, many people look no further than the flashy heading. Reading the entirety of a post is essential to assess the truth of a claim. With so much misinformation in reporting, it’s not enough to merely try and spot fake news anymore. Instead, aim to investigate every statement thoroughly to determine the ‘truth’ of a situation. You can’t just read a single publication and expect to get an objective view of events. Here are some suggestions that will help you dissect the reality of reports. Try Snopes.com. If you don’t have to time to put in the research, sites like Snopes are a great way to perform quick fact checks. It provides referenced responses to most claims. Find The Primary Data. Most news comes from an initial speech, video, study or statistics set. Though the primary data is usually more difficult to consume than the subsequent reports, it provides the best chance at uncovering the truth. Bypass Geographical Limitations. Your internet is heavily affected by interference from your government, big business and advertising agencies. Using proxy software, like a Virtual Private Network (VPN), will circumvent censorship and targeted marketing, list of the best VPN. Don’t Trust Social Media. Social networks are an echo chamber. The algorithms intentionally show you content that reflects your own beliefs. To get a realistic picture, you have to go past Facebook and Twitter posts and seek out a source not curated to appeal to your personal profile. Whether it’s governments controlling the narrative, sensationalist journalism or a misinterpreted joke, fake news is toxic to society. It’s essential to avoid getting caught up in confusion and falling for the fictional stories. Your best weapon against fake news is to be aware of the phenomenon and how it manifests!